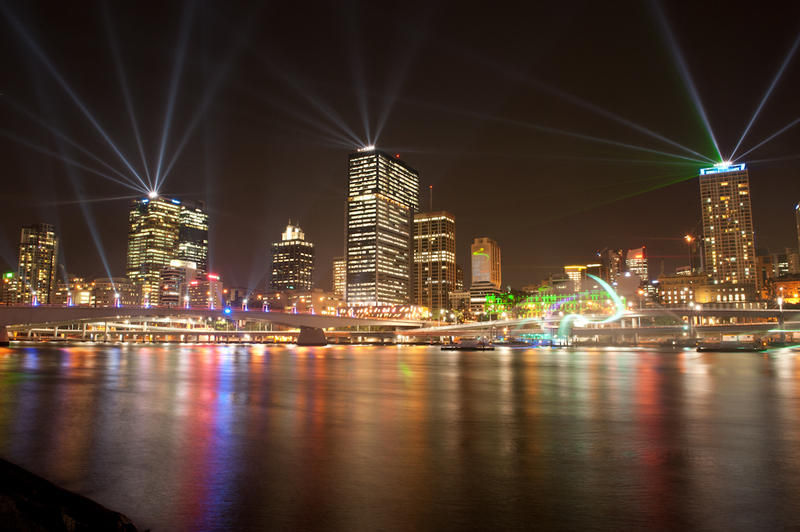 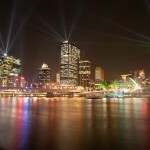 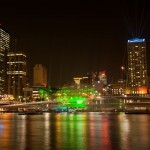 Brisbane City lights up during the Santos City of Lights laser show. Every September, Brisbane holds a big celebration of…well, Brisbane. 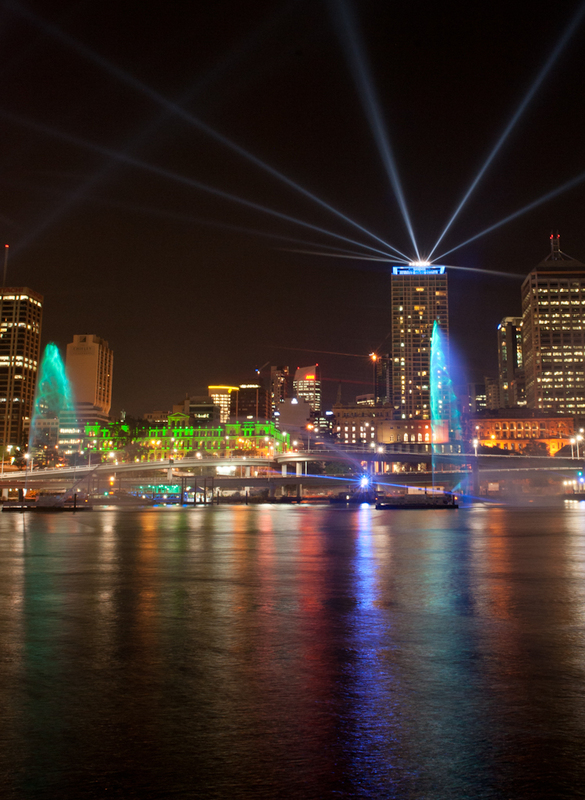 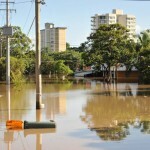 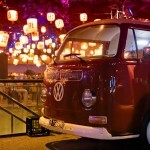 This festival — creatively called the Brisbane Festival and formerly known as the River Festival — is about three weeks long and includes all sorts of cultural events throughout the city and South Bank. 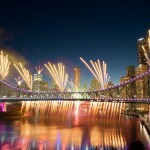 To be honest, I’ve never really attended many of those events, but I have always made my best effort to go to the festival opener (Riverfire). 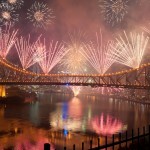 This event, which includes a 30-minute firework show off of the Story Bridge and the various bridges around South Bank, was not quite the draw last year as it was in years past (when the now-retired F111s had performed a dump and burn). 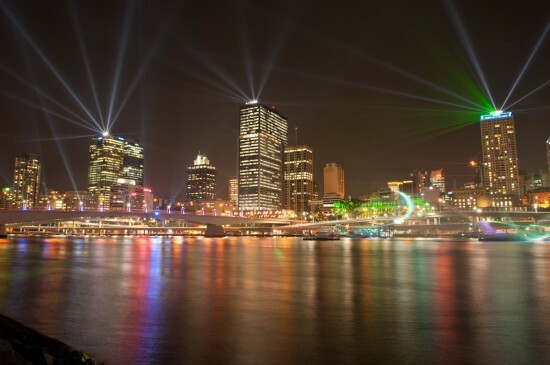 To make up for that, the festival organisers decided to put on a laser light show that was not just during Riverfire, but twice a night for the entire three weeks of the festival. 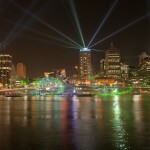 This was great for me, since I was out of town for Riverfire itself but I still got a chance to get some unique photos of the city when I went to South Bank to see the ‘Santos City of Lights’ on my return. 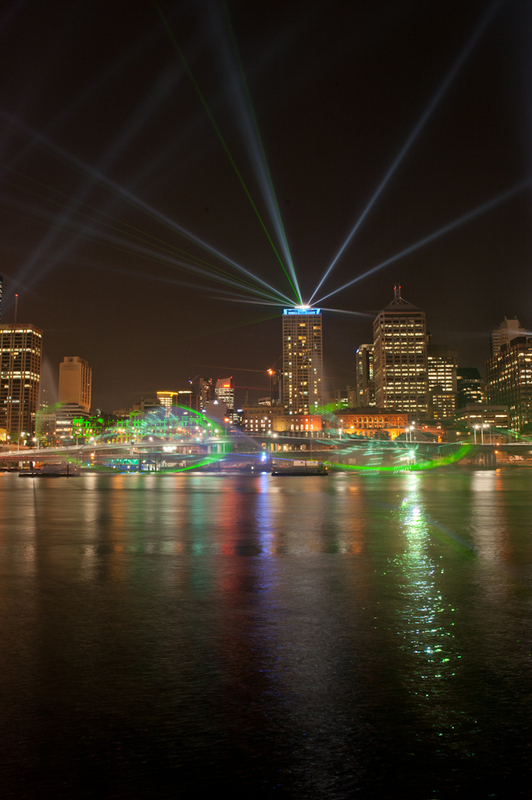 The laser lights, which were projected over the river, were quite impressive. 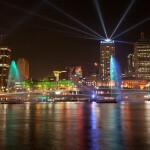 They danced around in front of us in time to music, making interesting swirls and multi-coloured designs. 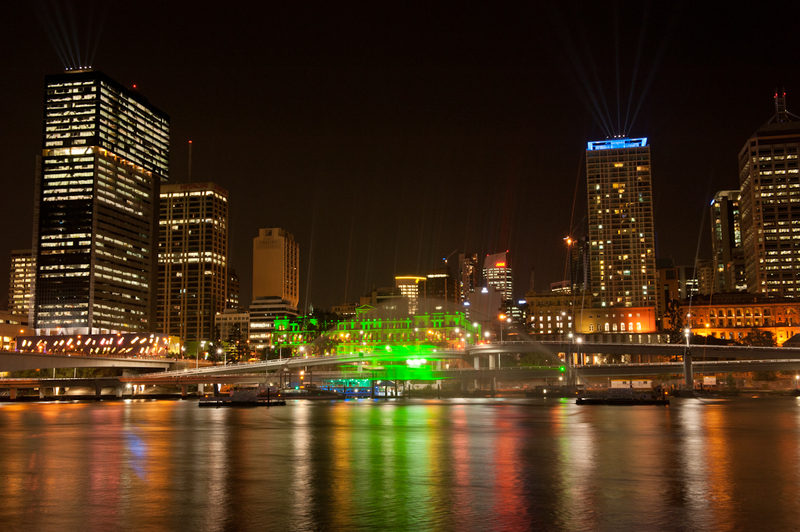 The complexity and detail were so much more impressive to the eye than to the lens, but I hope that these photos give a bit of an idea of what an interesting and unique event it was!